The world was bright. A little too bright, but Jester didn't mind. The clown felt blissfully satisfied. Lately, he was finally in a game worth playing. He had found the most glorious piece on the chessboard. A queen. A piece that would storm down any in its wall, without hesitation crushing those before her to reach her goal. 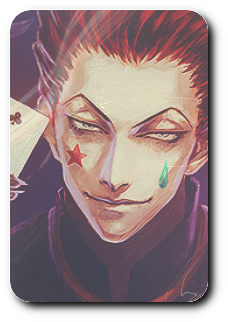 He skipped along the roads in Lavender Port City, he was currently wearing his usual clown suit. White fabric, peach-coloured rings around his arms and waist, a black diamond and heart on his top. His shoes were curled up into a point and on his face, a green star and a yellow spade had been painted on each cheek. His queen was nearby that he had made sure of. Wherever she went, something fun was sure to follow. As long as he was close, he was ready to jump in whenever the game was afoot. They were travelling through Lavanitir Port City, it was surprisingly crowded, the morning market was bustling. Vendors behind their stools, calling for the attention of the passers-by. Shouting their sales pitches, the same thing they did every day. What dull lives they did lead? Day in Day out, scrounging for jewels, creating this product only to pawn it off to anyone who would buy it. Jester wanted to bestow them the favour of ending their pitiful lives for them so that they no longer had to exist in such a pitiful manner. The white haired mage was giggling as she roamed the streets of Lavender Port. This was a new city again... And she liked what she saw already. She was wanting to play around with what lovely goodies she could find here at the market, especially after she heard that there would be sales. She hoped that there would be something she would want and find delightful at this market, besides just food at least. What also made this seem rather delightful to her, was that she knew she was being followed by her jester, and it pleased her greatly. She couldn't deny she enjoyed playing with him. He made everything seem enjoyable already. His white outfit actually rather pleased her too, especially since she herself was wearing white too. She giggles as she ruffled the skirt of her dress. She had decided to wear a white dress that fluffed around her shoulders and had pink tulle to puff up the skirt of the dress into a tutu. She honestly had to say, she liked the dress, it looked rather adorable on her. She thought so at least. Saraphina giggles as she approaches one of the stalls, wondering what was there. There were various gems laid out upon the table for all to view. "Oooooh! They're so shiny!" She squeals happily as her eyes grew large themselves. The man behind the stall smirks as he stands up and picks a purple one on a chain. "This one is an amethyst. But this is more than any normal amethyst, it's magical..." He says as she picks it up off of his hand, holding it up to look at it herself. "It's not magic." Her voice was flat as she glanced at the man in a rather bored expression. "It looks like a regular amethyst... with no energy coming off of it. You're lying." She pouts as she glares. "I am not lying! You're being a rude child!" The man cries out, snatching the necklace back from her. She frowns as she looks at the rest of the table. "Whatever... I'm not being rude, but you are lying." She says as she smiles brightly to him. On the table had been a crown with glittering jewels on it. While she was talking she had picked up before she turned around and started walking away with it. She actually hadn't meant to start walking away with it, but the crown was too pretty looking to not pick up. "Hey! Stop! Thief! That is not yours! You can not have it!" The man that was behind the stall cries out before he came around and snatched the crown from her hands. Saraphina's eyes grew wide as she stared at her hands where the crown once was. "What...?" She was shaking a bit before she turned around. She had a bit of a snarl on her face as she held her hand out. "Thrud." She simply says before her sword came to the world. "Did you tell me 'no?'" She asks, her lips curling on one side as she was trying to slightly get a grip on herself, but it wasn't working. A giggle was escaping her lips as she was shaking still. A moment later, she simply chucked her sword at him. "No!" She says. "That crown is mine!" The sword got right in the guys back. Of course all the people around had stopped what they were doing and were watching in fear at this crazy girl who stood there. The man had fallen to the ground and groans as he was trying to fight against the sword. Some people were starting to come towards the area, some seemed like police or something, while others were other vendors wanting to avenge their fellow vendor. Saraphina frowns more, till she realized that this could actually be fun, in which her lips curled into a grin. "What? It's time to play?" She couldn't help but ask, glancing to where she thought Jester was as she went to rip out her sword from the vendors back. Jester glanced over at the queen, who seemed to be thoroughly enjoying their little exploration of Lavanitir Port City. Jester, had been here before, he had been many places. Having travelled all over Earthland in his many years following his liberation. He knew the world well, and this place was no different. He was sure he'd massacred a couple here once, after having returned from their honeymoon. He had been waiting in their home, and well, the rest had been. Delightfully awful. It was a fair few years back now. Just a sad memory in this city. He heard the white queen talk to a vendor, and turned looking over. His golden eyes observed the interaction between the two. She seemed to disagree with him about its magical properties, Jester was not surprised. Vendors often attempt to scavenged fakes off to unsuspected non-mages or mages with low magic sensory. He watched, intrigued to see how she would deal with this scenario. The argument seemed to stop, and his Queen plucked a rather fitted crown from the stall Walking off with it, the Vendor chased after her, snatching it back from her. Jester's lips curled into a smirk, this was bound to be good. His queen seemed to light up in a rage, summoning her sword. She launched it into his back, impaling him with it. This seemed to cause a quick uproar in the market, shrieking, anger, the desire for vengeance. She commented about playtime, earning a eager nod from the crowd. He turned to the approaching crowd, there were many of them, which meant it was a perfect time for that. "Playtime Kiddies, It's show and tell, Bring your pets to the front of the class." He cheered in a perky tone, he spun on his heel, snapping his fingers. His outfit would transform, from the clownsuit he was wearing to the ringmasters costume. His red cloak fallin over him, the smiling plain white mask appearing over his face. This time, he did not remove the mask. He lifted his hat off his head, twirling back towards the crowd. "Hey kiddies look, I brought you all a bunny to play with." He waved his hat in front of him, and from the open hole, creatures began to leap out. Running into the crowd in great mass. Several hairless rabbits, diseased and vile they would run into the crowd. Jester giggled as the sound of shouting and screams filled the air. The white haired mage grinned as she was glad Jester seemed all too eager to play around with the other people. As she looked down to the vendor who tried to rip her off on a magicless amulet, she pried the crown from his hands and looked at it a bit. She was making sure that the stuff on it was real. Which it seemed so to her. "I think I'm going to keep this..." She giggles as she places it on her head. She looked over to Jester as he was talking about show and tell and a class apparently. 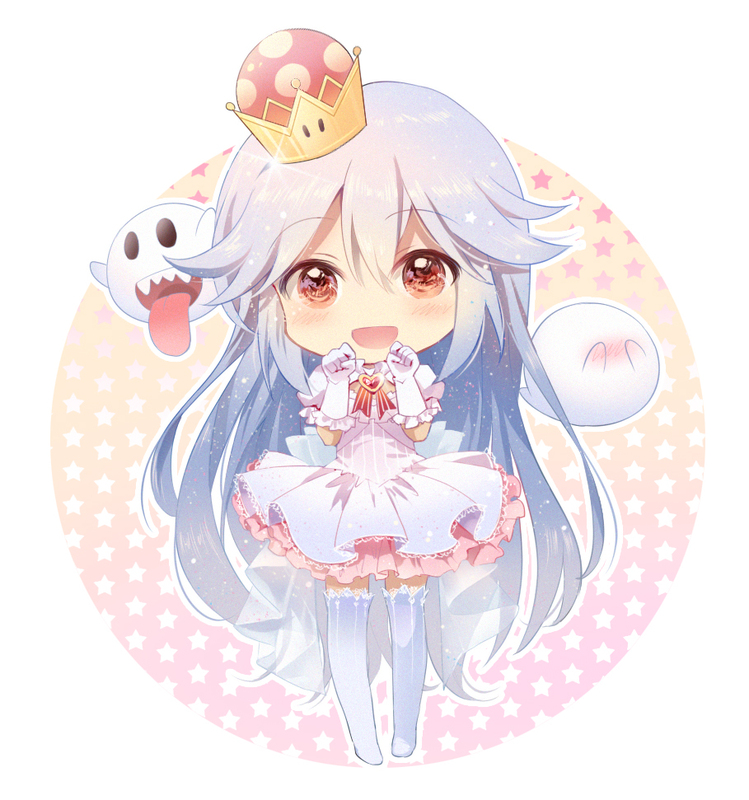 She giggles and makes sure her crown was on her head right. Saraphina grinned wide enough for her sharp teeth to start showing to everyone as she glanced around the area, especially after seeing Jester in his other clothes she enjoyed seeing before. She heard him talking about a bunny to play with, and clapped her hands slightly, avoiding hitting herself with her sword as she did so. "I hope the bunny is icy and adorable!" She giggles aloud. She couldn't help but watch as his hat seemed to summon creatures. She let up a giddy squeal as she twirls around and let her sword hit someone who was trying to get away from a hairless rabbit. "He's not at cute as fluffy white bunnies, but he's just as adorable!" She cackles as she lets her sword shine bright for a moment. After a moment, five swords were floating around her. "You gong to run away? That's no fun... Play with the bunnies!" She giggles as she let the swords go and start blocking people from running away. "Excuuuse me! It's not nice to run away!" She tilts her head slightly as she made sure her crown would stay, regardless of how she turned her head with it on. She twirled around a bit more in her dress, enjoying the tutu of it as she did so. "My! My! There's so much noise here!" She giddily claps her hands once again as she watches people scream over the swords and try to get around them. She then frowns as she twists Thrud in her hand, and the floating swords turned on a dime to stab a few people. "I disapprove of people rejecting me. I told you it's no fun to run away while the bunnies were out to play with you." She glares as she looks over to Jester. "My sweet jester... do me a favor... get rid of them since they're all so naughty?" She muses happily, especially after she sees what appears as the Rune Knight officers, and, or, Police officers, coming towards them. "I'll be dealing with mommies and daddies~!" She snickers as she directs her floating swords through others chests and snickers a bit while they fell to the ground while she made her way towards the group of officers. Watching the chaos that ascended on the Markus only seemed to provide Jester with the thrill this little venture had been lacking. Once again, his queen had provided with him with a great source of fun. How delightful it was to witness how easily she could manifest chaos at will, causing amongst her the carnage that was this wonderful moment. His rabbits scattered hungrily, biting and scratching away at however they could. The only people they would not target was Jester and Saraphina. Because Jester had a cognitive link the bunnies and was ordering every single one of them who to not attack. Allowing them free reign of everyone else; men, women and children. For any bunnies they managed to kill, two more would grow from it's remains. It was an ever expanding chaos of pain and screams. Jester turned to look at his queen, who seemed pleased with the prospect of bunnies, behind his mask laid an eerie smile. Watching as she proceeded to handle a few of those fleeing. He giggled gleefully as her swords blocked the path for those trying to get away. Fleeing just wont do, it was playtime, and that meant every last one of them. Jester heard her order and nodded, snapping his fingers, several cards appear around him. He would strike a slight pose, before twirling into a dance. As he moved, humming as he did so, a catchy little tune. As he danced, the cards would fly away from him. Slicing away at the remaining peasants, hacking away at them until they were dead. Dead, dead, dead. One after the other they would fall, their flesh ripped away by the hungry bunnies. Jester watched the as their screams slowly quiet, filled with the sounds of the bunnies eating. "Night night kiddiewinks, enjoy your nap." He said gleefully, throwing his head back in laughter, he cackled manically. He would laugh for a good few minutes, then stopping abruptly. Turning he found a casual pile of bodies, stack high enough for him to sit on. He would sit down, leaning back casually as he watched his queen commit another delightful scene of bloodshed and chaos. What a wonderful player he'd found, he was truly enjoy himself in her company. With ever scene of bellum they left in their wake, he would wonder, what adventure would his white queen lead him to next.